Though I haven’t made my 2018 resolutions yet, I’m sure there will be one about writing here more, so I’m not exactly off to a good start with that. My main excuse this time, as is often the case, is travel. On January 2nd, Mr. Karen and I loaded up the truck and headed west to his sister Kathy’s house on the far side of Washington. 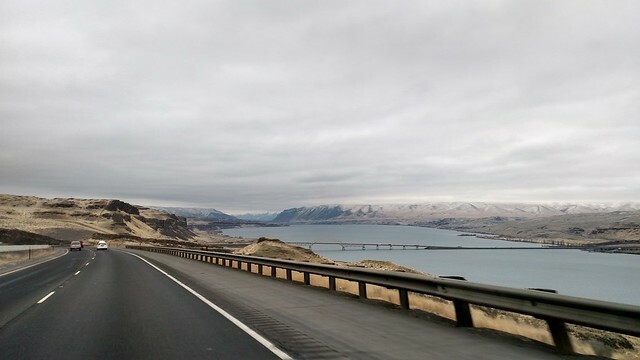 The scenic view spot along the Columbia River gorge was closed for the season, so I had to content myself with looking as hard as I could out the windows; fortunately it was Mr. K’s turn to drive along this stretch. Along the way, we picked up Mr. K’s other sister, Fay, at the airport in Seattle. His mom, Joan, was already at Kathy’s house, having arrived before Christmas to celebrate the holidays. If we three had been there for Christmas, we could have seen more nephews and nieces and such, but we had another goal for this trip: touring retirement communities in the area to see what Joan might like when she makes that move. Kathy had lined up five visits for the three days all the siblings were going to be there together with their mom, though as it turned out, we only made it to three places. 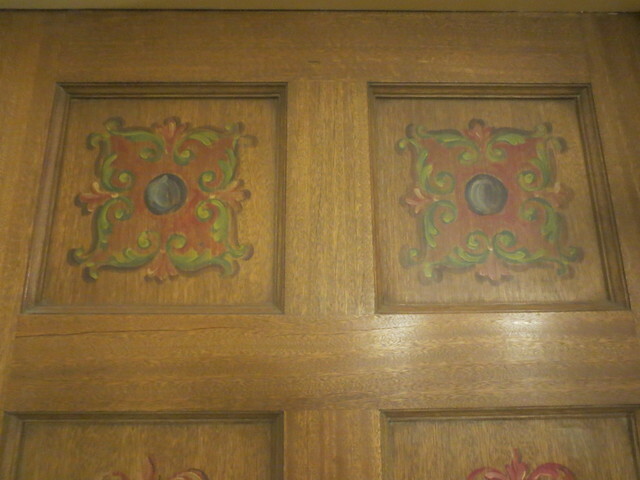 My favorite, and Fay’s, was the one that was in downtown building that was originally a hotel that opened in 1929. 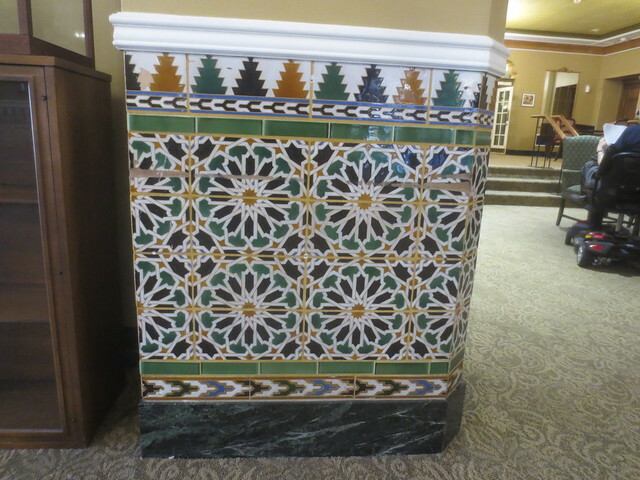 They’d kept a lot of the great old architectural details, which I loved, and rooms on the upper floors had wonderful views, either of the mountains or the water. My second favorite, and the one I’d pick for Joan if she left it up to me, which I don’t know why she would, had a more modern layout but still had some good character to it, with a northwest lodge feel in some of the common areas. It didn’t feel institutional, which was a big plus. 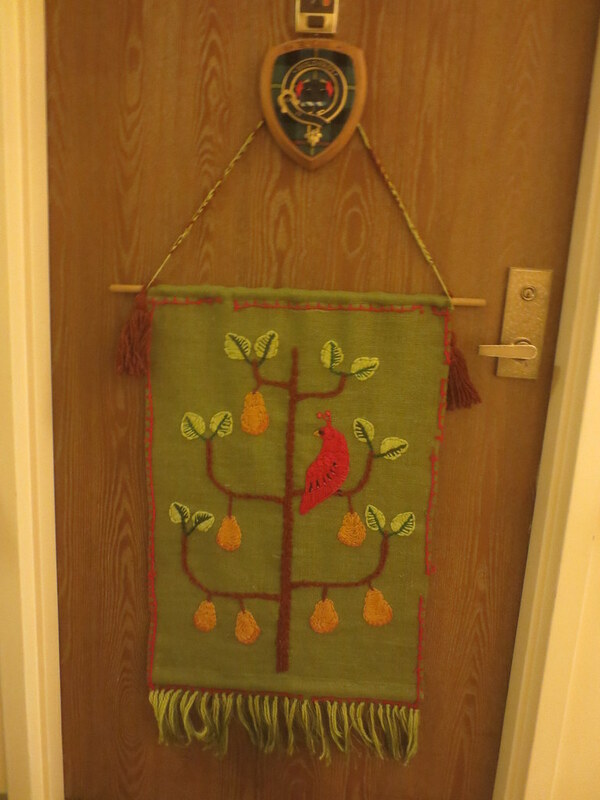 A lot of the residents here had decorations on and around their doors that gave the place some personality. 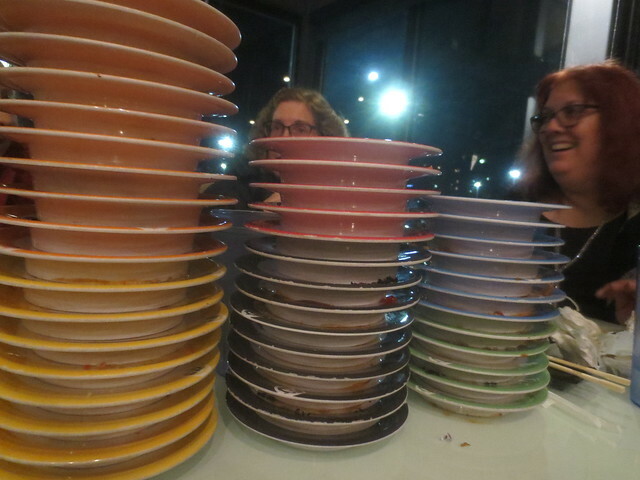 We celebrated the end of our touring with dinner at a conveyor belt sushi place, where there was much laughter and many many plates piled on the table. Fay and Joan headed out the day after sushi, while Mr. K and I stayed on a couple more days until the weather looked better over the mountain pass between Kathy’s house and ours. We hung out, saw the latest Star Wars movie (thumbs up from me), ate probably too much (including another run at conveyer belt sushi), and just enjoyed our time together. After we got home, Mr. K and had a few days to get ready for a houseguest and have been enjoying his company for the last week. Fortunately he’s a skier, so we’ve gotten in our time on the slopes, too. Another storm cycle looks to be heading our way, so I’m hoping for even better skiing conditions soon.